But before I do that, I’d like to have a conversation about you. That whimsical, fairy tale ending that you’ve been waiting and waiting (and waiting) for. The man, the career, or that “thing” that will suddenly appear and make life spring into technicolor and you can finally, honestly say your dreams came true. Happily ever after is the story you create about your life. You see, your life is a fairy tale and you are its author. So as you tuck into this fun fairytale I wrote to help frame the broad strokes of my back story, think about your own. What has your story been so far? And what do you need to do to pick up that feather quill and re-write an ending that lets you rock your bombshell life? P.S. If you are looking for my professional bio, click here. 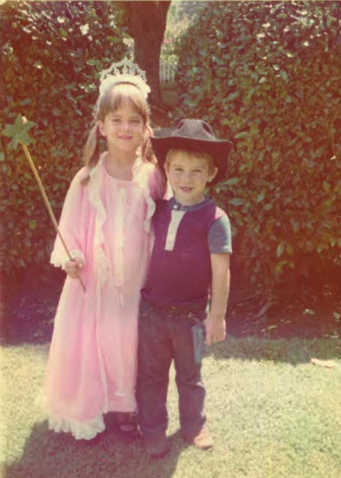 There once was a little girl named Cami who wanted to grow up to be a princess. She lived with her family in a cozy cottage on a leafy, tree-lined street in a land by the sea. Her mother was a great beauty who came from the north where there was lots of ice and snow. Her father was a kind, but strong and steely man who owned a words and pictures foundry. Cami was the apple of her father’s eye, and he was an excellent provider who made sure his baby girl, and her younger brother, had everything their hearts could desire. Life continued on in this somewhat fairytale track until the little girl began to blossom into a young woman. One day a crack formed in the family structure and the rosy, carefree days of youth began to crumble away. It was a scary, confusing time for the girl, and the happy family life she had known began to morph into a different form. The household split in two. So instead of one cozy house to call home, she had two, her parents having decided to break the yoke of marriage so that they could pursue their separate destinies. It was an inauspicious time for a young girl to begin the gentle flowering into womanhood, but soon she became accustomed to her new reality, and life began to take on a normal hue. In school she excelled in the arts and took an interest in performing and music. She fell in love with a boy two rows over named Pietro, and began to formulate an idea of happily ever after with this freckled lad. Her best friend in those days was her diary, and she would spend hours alone in her room, snatching melody, rhythm, and poetry from thin air, pouring it into the sieve of her young consciousness and then molding it into a finished song. It was a glorious way to spend the hours, in fact it was magic! When she would take all her joys, and sorrows and transform then into a song, it was the best alchemy she could imagine. After she would finish a session, she would gaze down at her rose patterned diary and smile. She felt her destiny growing out of those pages. As the years and days of childhood came to an end, Cami felt happy, safe and fully seen. She had spent her youth performing in school plays, theatre and doing the odd moving picture. She had many childish loves that came and went. But the one love that came and never deserted her was music. She felt very lucky. The years after adolescence came and went in a blur. They were a kaleidoscope of youthful folly, madcap romances, and adventures to faraway lands that would take her away from the leafy green streets of her childhood. Her beauty and talent opened door after door, and any opportunities that came her way, she seized with both hands. After a while, she joined a troop of beautiful young women, who traveled internationally in a musical review. From time to time she would pinch herself to make sure that life was real. The travelling could be hard, but the life of an international performance artist suited her, and she would find herself walking up in the Italian Riviera and falling asleep in Tokyo. It was a dream come true and she could not imagine how life could get any better. It was at this moment, a tall, dark, and handsome prince entered the stage. The moment he directed his intense gaze towards her she felt her knees buckle. Her stomach twisted in a knot and she had a momentary impulse to flee. But he was so beautiful that it was impossible to move. He was powerful and charming, and when he smiled she felt captivated by his magnetism and warmth. “This is the one!” she thought. She pinched herself. Her prince charming had finally arrived and soon she would be a princess. The courtship was a wild, fun, and delicious ride of passion. There were spontaneous trips to Paris where they would walk along the Seine, enjoying the scenery and warmth of each others arms. There were intimate nights at home filled with music, candlelight, and aromatic wines. There were adrenaline stuffed days of skiing down the powdery slopes of Aspen, where she felt free and unhinged from the cares of day-to-day life. “Everything is perfect,” she said, “except for one thing.” You see, the Prince had yet to make her his princess. This made her very sad, because although she loved him very much, her deepest desire was to get married, and start a family of her own. She determined that she would find a way to make this one last piece of the puzzle fit. Then all would be well and truly perfect. She turned her attention to him, and tried every way she knew how to make this last wish come true. She waved her magic wand of love over him, but every administration, every flick of her wrist only seemed to diminish her powers. As her internal light dimmed, she felt a longing and sadness that took her breath away and darkened her spirit. As the years passed she felt more hopeless and lost, like life had been covered over by a thick layer of winter frost. Soon, she fell into a deep slumber. Little did she know, but during this dark time the seeds of destiny were silently stirring beneath the snow, in rich and fertile soil. Going about her business one day, she came upon two powerful wizards, (who were technically witches because they appeared in female form). They were beautiful and kind, and as her eyes fell on them, she felt a shift in her body that was quite luscious. They began speaking strange and wonderful incantations, and her heart felt soothed when she heard their powerful words. Soon the two wise wizards began teaching her how to invoke their powerful spells to help her break free from the heavy chains of her lost winter. Other women began to join this powerful tribe of enchantresses, and together they all made a pact to be a blessing to each other and to all of life on the planet. As Cami grew and began to take her rightful position of leadership in this warm and gorgeous society, she again felt a stirring in her belly. It felt like a warm spoonful of the most nourishing soup that was feeding her soul. As she welcomed this sense of delicious fullness into her body, a key to a long forgotten story was unlocked and all the fears that had been hiding in her secret places began to dissolve. 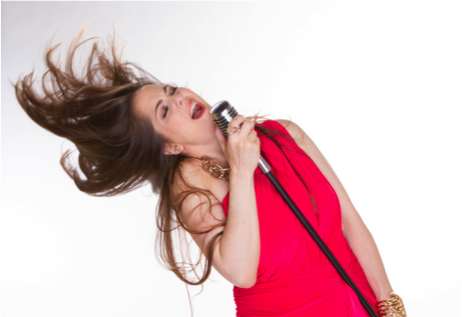 She knew that it was time to unleash her true voice and embrace her destiny. As she began to grow in confidence and joy, she turned toward that last puzzle piece of her happily ever after: the dark prince. She felt a tenderness toward him, and an even greater tenderness toward herself, as she gently untied the yoke of their union. Walking home from that auspicious completion, Cami looked down and noticed that the frost on the ground had completely melted. She stood on a thick blanket of grass and kicked off her sandals. The weather was warm, and a light breeze traveled across her skin, like the silken caress of her true love’s hand. She laid down in the plush, living carpet and closed her eyes. An ease and grace swirled about her as she finally returned home to herself. She could sense another source of energy bubbling just a stone’s throw away. She felt every cell in her body brimming with possibility as it made its way toward her. 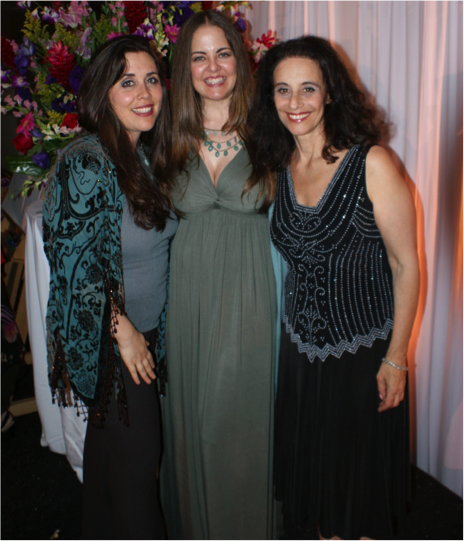 Cami Elen is a love alchemist and the Global Ambassador of the wildly successful Feminine Power program, created by Claire Zammit Ph.D. and bestselling author of Calling in “The One”, Katherine Woodward Thomas. 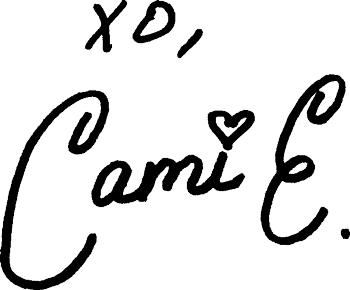 As a transformative coach and relationship expert Cami has been teaching women how to create a “happily ever after” life for over six years. She is a triple certified Feminine Power, Calling in “The One” and Conscious Uncoupling coach and has worked with hundreds of women all around the world, helping them to remove the internal and external obstacles to love. 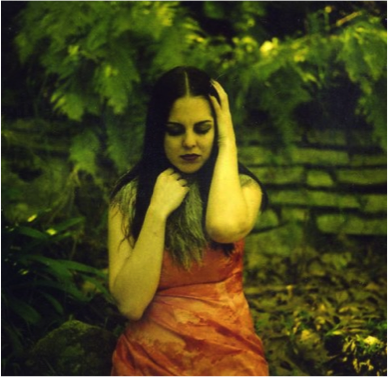 Cami is also a singer-songwriter who performed internationally for six years before becoming the lead vocalist for the Los Angeles based rock band “Darling Violetta.” On Cami’s Opaline Records Label, Darling Violetta released three albums over five years: BathWaterFlowers , The Kill You EP and Parlour. After a guest appearance on Buffy The Vampire Slayer, Darling Violetta co-composed and performed the popular theme song for the hit spin-off WB television series Angel, and subsequently gained an international following. 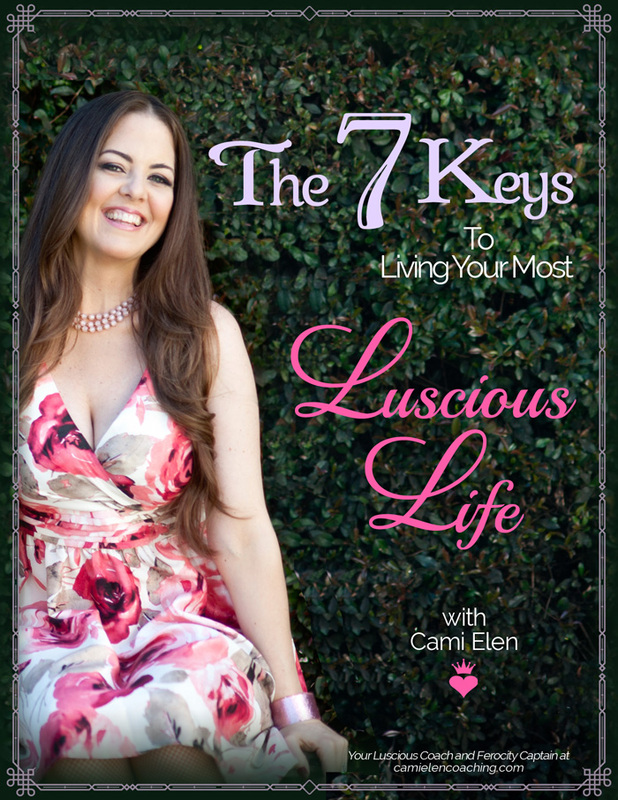 In her work as a creative artist, and through her Luscious Life coaching brand, Cami inspires women to step into the helm of their destinies to create the relationships and lives of their dreams. She teaches LIVE transformative workshops in the Los Angeles area and is currently in production on her new podcast series Luscious Life.